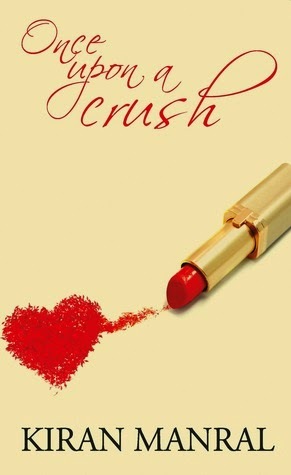 The first thing that catches your attention about the book - Once Upon a Crush by Kiran Manral, is the book cover. It is so girly; I quite liked it! Meet Rayna De - an independent career Bong woman, who is stuck in a job with a boss from hell. She is still going to turn thirty soon and is pestered by her parents to meet suitable guys of their choice to get settled in life. Needless to mention she has zero love life. Her life consists of all the mundane things – go to the office, work, sleep and office again. Things slightly perk up in the office when Deven Ahuja – the handsome guy at work seems to be falling for her. But, when things are about Rayna, nothing happens the way you expect them to. Even though he seems interested in her, there are other rumours circulating about him. To top this Rayna boss is making her life difficult in the office. Out of the blue, her best friend lands up in Mumbai and takes shelter in her house indefinitely! Hows Rayna is going to deal with the things happening in her life? Is she going to find the love of her life? Is she going to succumb to the pressure of her parent and her demanding boss? Well, these are the things to read in the novel. Once Upon a Crush by Kiran Manral, is a quick and entertaining read that comes with a liberal dose of witty and humorous dialogues. It has all the masala of a Bollywood movie. The author has a humorous way to describing each and every character in the novel right from the lady herself to her melodramatic friend Pixie, her irritable office colleague Mathur, her boss Aparajita and of course, the office hunk Deven Ahuja. There are several twists and turns in the plot that can keep the readers engaged. I did enjoy reading it. However, I must say that I found the way the novel ended quite predictable. If you are looking for a quick read, then you can pick this book for sure. About the Author: Kiran Manral has worked with some of the leading media houses in India as a features writer and journalist. Her debut novel, The Reluctant Detective, was published in 2012. She lives in Mumbai with her family and puts her job definition down as school gate mom. I received the book from Leadstart Publishers in exchange for an unbiased review. Just saw this Jyoti, apologies for the delay. Thank you for reviewing the book and glad you enjoyed it.